Drawing its raw water from Lavon Lake, the North Texas Municipal Water District supplies “moderately hard” water to homeowners in Dallas, TX; that’s why many locals turn to RainSoft water conditioner systems to soften their home water supply. Prior to treatment with a water conditioner, the water at your Dallas home can contain “hard” minerals like calcium and magnesium. When you use unconditioned water, these minerals are left behind in heavy deposits. You may notice this in the form of a cloudy film on your dishes and silverware, a scratchy and dry feel to your laundry, or a stubborn grime on your shower tiles and sinks. You may even experience other issues that aren’t immediately noticeable – such as a heavy buildup that clogs your pipes and prematurely wears down your plumbing. Our home water conditioner units remove these undesirable hardness minerals, in turn helping to eliminate soap scum and water spots. Your laundry will feel fresher and softer, and your favorite cleaning detergents, shampoos, and soaps will work harder than they ever have before. You’ll even spend less time scrubbing grime from your bathroom surfaces! You’ll also notice that investing in a RainSoft water conditioner system makes your water-using appliances more efficient. When supplied with softened water, dishwashers, water heaters, washing machines, and even ice makers may be able to do their jobs on less electricity because water deposits are no longer interfering with internal working parts. Because you may need less soap for cleaning and use less electricity every month, your cost savings can help pay for the softener over time. Ready to connect with our Dallas, TX local authorized dealer? 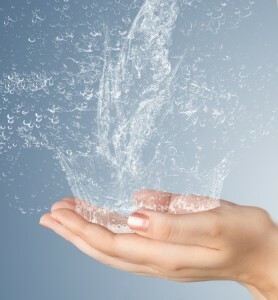 Call us today and schedule a complimentary in-home water hardness and drinking water test. We’d be happy to help you discover the perfect whole house water conditioner for you and your family.